This is my return journey back to the UK after a fruitful 3 months summer break back in Malaysia. Being an Emirates Skywards member, it is natural for me to book my return ticket back to Birmingham via EK and pray that I will be upgraded as a reward for my loyalty, which unfortunately was not the case, though I secretly wished at the check in counter and the boarding gate that it might be my lucky day. As I have posted previous trip reports on Emirates back to Malaysia from the UK, which can be found here: Part 1 (Birmingham to Dubai) and Part 2 (Dubai to Kuala Lumpur), this edition of my trip report will be rather brief. As mentioned, I am travelling back to Birmingham which is closer to my university rather than London and this post will cover the first leg with a transit in Dubai from Kuala Lumpur. 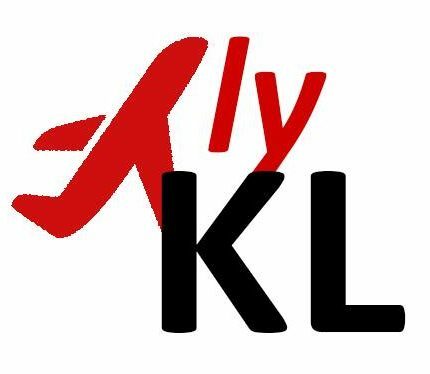 Having checked in online, I headed to the shorter queue at KLIA which was shared with Emirates Silver and above status members. As usual, the line was rather long for the ordinary check in queue and I am glad that I did checked in online before arriving at the airport, which really helped in saving some time that I would have otherwise wasted in the other queue. Boarding passes were issued and my luggage is tagged and bound to Birmingham! Picture above taken while I was waiting near gate C27 for the boarding gate to be opened with some artsy paintings in the background, which was rather fresh considering the rather boring atmosphere in the Satellite terminal of KLIA. Decided to the be last few to board the plane that day. Whilst waiting, I overheard from the ground staff (complaining?) that the load for the flight was pretty heavy. I guess that is why EK 343 is currently being operated by the A380, but not too sure how long will it last, given that EK has been operating the A380 on this route on a rather seasonal basis. Pardon my obsession with taking pictures featuring my boarding pass, I supposed I was very happy to receive a hard boarding pass having experienced getting flimsy boarding passes most of the time, even with full service carriers. Upon boarding, I was glad to find out that the B777 that will be bring me to Dubai is equipped with the newer generation IFEs, featuring larger touch screen displays. Yay! Indeed a very packed flight (might be too obvious in the picture), in economy at least. As it was a red eye flight, a light meal was served right after take off before the lights were dimmed for passengers to rest. Overall it was another comfortable flight with Emirates. At this very moment, I could not recall if my disembarkation from the aircraft was via an aerobridge or one of those dreaded bus rides to the terminal building but I hope this will not be the case in the future as those bus rides from the aircraft parking bay to the terminal building or vice versa takes forever (given the airport structure at DXB) and it is not the best experience having flown for quite a few hours and then having to stand in a bus packed with people because of the limited number of seats that are available.Well, I guess it is not Emirates fault but DXB’s problem of not having enough gates with aerobridges to cater to Emirates forever increasing number of aircrafts?